If you read our post about 'Where We Read' you will know that BookBairn's nursery got a revamp into a bedroom suitable for two - and of course we had to get rid of the baby pink walls and choose something a little more gender neutral. So we went with one of BookBairn's favourite passions - animals! And having found a beautiful fabric for curtains we now have two little monkeys in their own little jungle. 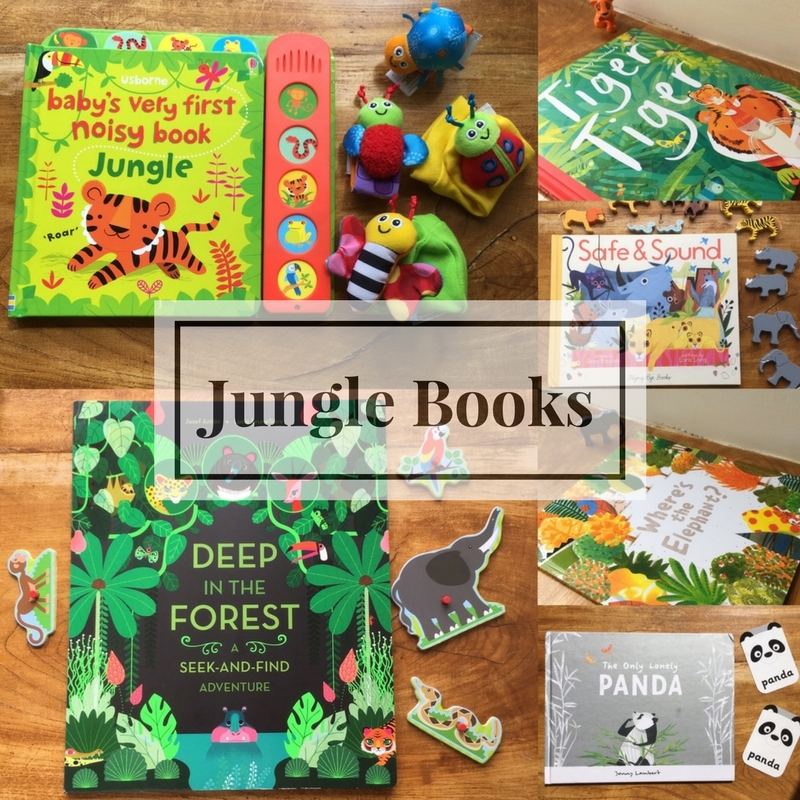 So I thought it would be appropriate to share some of our favourite jungle reads with you! This was given to The Wee Page Turner as a new baby gift but unfortunately he's lucky if he gets to have a look at it! BookBairn loves a noisy book and this is one of the best that we've had. The sounds are lovely and have a little bit of percussion and music behind the animal noises. This means that BookBairn not only enjoys pressing the buttons and saying what animals she can see, she also likes to dance along to the music and is beginning to act out the animal actions: slithering on her tummy like a snake and jumping around like a frog. The illustrations are typical of Usborne books: bright and colourful! The only thing about this book is that it doesn't have any text beyond the animal noises written out in words meaning that it won't necessarily stand the test of time the way that other books do. But for the moment it's great fun for BookBairn and hopefully her little brother enjoys hearing the sounds even if he doesn't get a look at the pages yet! This is a lovely book which mixes story and non-fiction with incredible artwork. Most baby animals need protecting from the world until they are big enough to look after themselves and this book explores the different ways their parents protect them. Little chipmunks stay safe in their underground burrows; bluebird chicks cosy down in their nest; wolves stay protected within their pack; kangaroo joeys travel safely in their mothers' pouch; crocodile hatchlings hide inside their mothers mouth; monkeys ride on their daddies' backs. And of course human children get tucked up in bed! This is a book of wonderful artwork of animals from the treetops of the jungle to the depths of the ocean but I adore it! I would love some of the illustrations as artwork on the wall. This makes a lovely bedtime story about all the animals being tucked in safe and sound! 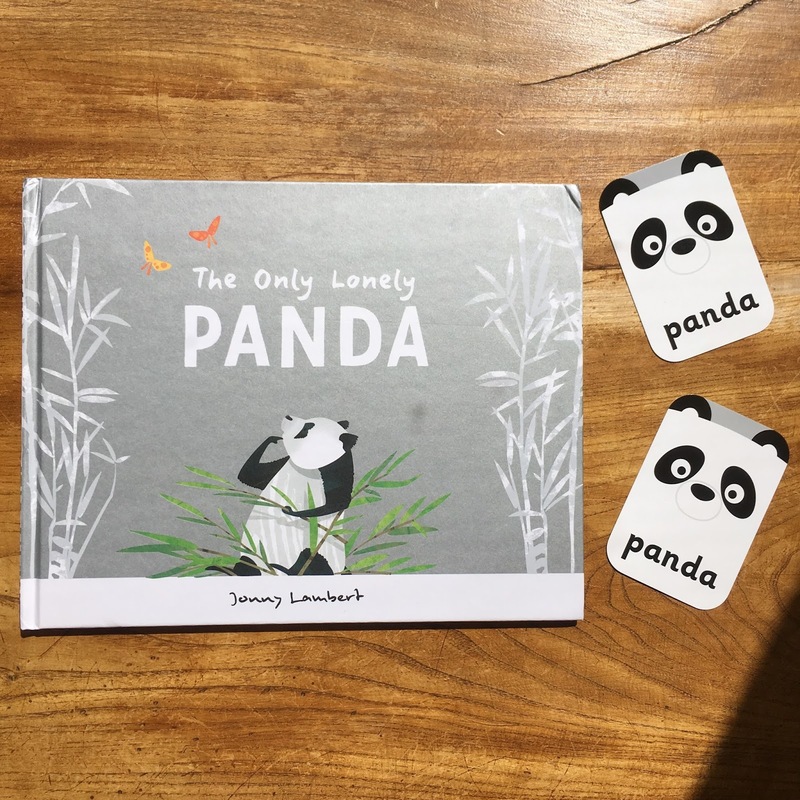 We all know that pandas are an endangered species so it's not surprising that the panda in this book finds himself all alone with no friends to play with. He tries to fit in with the flamingos but his stilts make him topple over rather than gracefully dancing like the flamingos. His attempts to bounce like the sifakas (a type of lemur) end in a bumped bahookie. He gets on the wrong side of the peacock when he plucks their feathers in efforts to make himself a magnificent tail. So he plods off in search of some bamboo for dinner and who does he find? Another panda of course! Such a lovely story and the illustrations are adorable. Each page is a shimmery silver making the animals stand out and almost appear to move on the page. Love this one! This is a brilliant wordless picture book from the fabulous Barroux. If you read our 'Finding Nemo' post you will know that his books are a wonderful introduction to environmental issues for little ones. Elephant (and his friends parrot and snake) are hidden amongst the jungle foliage and as you turn the pages the forest is reduced and reduced as the loggers come and chop down the trees and developers build houses on the land. It becomes easier and easier to spot Elephant, for he has no place to hide. Eventually the only tree left standing is put inside the fencing of a zoo. What will happen to Elephant and his friends? This really is a great way to introduce children to the plight of the rainforest in an approachable way. The illustrations are so adorable and the colours are very vivid. And I like that this one has no words and you can discuss the issues facing Elephant and the rainforest at a level you feel is appropriate for your child. This one is suitable for children of all ages from the littlest toddlers to primary school aged children, who may enjoy telling their own version of the story. 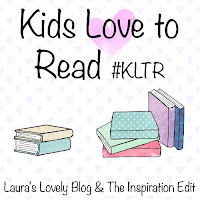 Great for reluctant readers too as it's a story they can enjoy without needing to read! Brilliant! And meaningful! When Old Tiger gets asked to cub-sit for Cub, he's not too impressed. He just wants to have an afternoon snooze (I sympathise!). But little cub has other ideas and wants to explore the jungle and investigate all the world around him and all the animals in it and, of course, like all little ones he wants to play. Old Tiger follows along dutifully and soon his eyes are opened as he sees the wonder of the jungle through little Cub's eyes. The magical thing about this story is the way the colour changes subtly as you turn each page. The initial pages feature illustrations of the jungle that predominantly feature grey-greens and browns and duller colours, but as you read on the colours become more vibrant and vivid. It brings to life the vibrancy and dynamism of the jungle. The back cover describes the book as "a touching celebration of the light and colour little ones can bring to the world." Which sums the story up perfectly. I certainly know that since BookBairn and The Wee Page Turner entered my life it has been turned upside down, become chaotic and full of wonderful wonderful colour. And if I stop to see the world through their eyes I realise how magical it really is. This book has a thing or two to teach us grown ups and it's a great read for little ones too. This is truly one of the most beautiful books that I have ever seen. I adore the illustration! Each page is packed with jungle animals and the flora and fauna of the rainforest. The colours are vivid, striking, intense, brilliant, bright, strong, rich deep... I could go on! Each page takes a different perspective showing the forest from above, delving underground, floating down the rivers, above the tops of the trees, and even a night scene where the eyes of all the creatures are glowing luminously. Seriously they look like the glow in the darkness of the deep purples and blues of the night scene. It really is a work of art. To add to the brilliance of the artwork there are over 50 animals to find which are listed on the back and throughout the text with an animal truly hidden under a flap on each page too. Slightly over-sized and hardback it's definitely one to lay on the floor, stretch out and explore. It's a perfect non-fiction encyclopedia of jungle creatures. It's a brilliant brilliant book. I can only give it the highest of praises! And I guess I will end it on that wonderful note! Let's hope my two jungle monkeys like their new room! Happy jungle reading! *Some of these books were sent to us by publishers for review and others are ones that we have borrowed from the library or purchased ourselves. This sounds like a wonderful set of books and I don't think I've seen any of them. The jungle bedroom is great and I'm sure your two little monkeys will love it - especially "the beautiful chair". PS I can sympathise with Old Tiger. Thank you! I wish I'd thought of the world 'jungletastic'! Thank you! 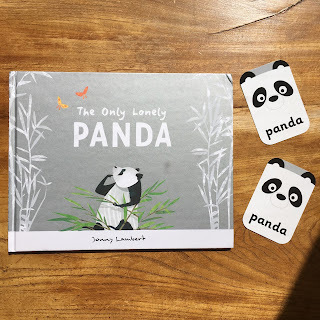 The Lonely Panda is beautiful! They really are! Tiger Tiger and Deep in the Forest are my favourites! Hope you enjoy them! Deep in the Forest strikes me as one you would adore! 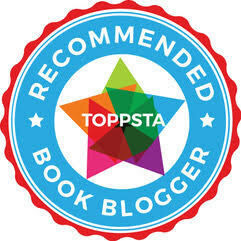 I love the Usborne ones too! I will look it up! Thank you! A great selection of books here. We are fans of jungle themed books, well I am. I like rhyming books too and ones with related activities. I love how you have little activities/ puzzles and toys next to the books in the photos. Extending learning through activities is so fun. 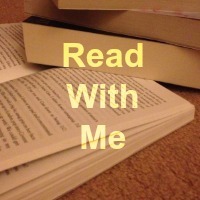 I'd like to read Deep in the jungle. Thank you! I take a lot of time over my photos so it's lovely to hear you like them!